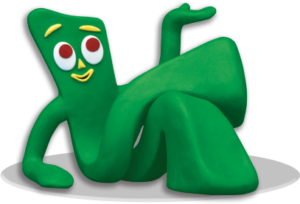 I discovered the possibilities of the book form when I first saw Gumby walk into one on TV, where he encountered the content as a tangible place. I accompanied him on his adventures, met new people, visited exotic places and learned about friendship. The word, ‘BOOK,’ is used to imply both content and art form. An artist book is a work of art, not simply a means of conveying information. A book artist is a person who makes books as their form of artistic expression. 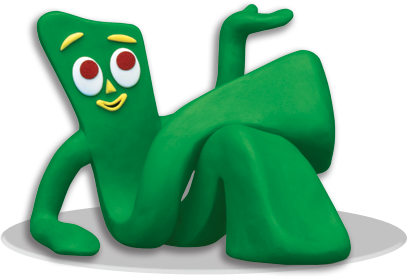 Like Gumby’s adventures, artists books are also tangible places. A reader cannot fully experience the subtleties of an artist book by thumbing through the pages. Some artist books must be held, some are free-standing, others may have fold-outs that must be manipulated by the viewer. Artist books can activate many levels of awareness by igniting emotions through text, image, theme and structure. A book can be private archive, a personal journal, a scientific investigation, a political treatise or an agent of social change. Put down the cell phone. Experience the book!